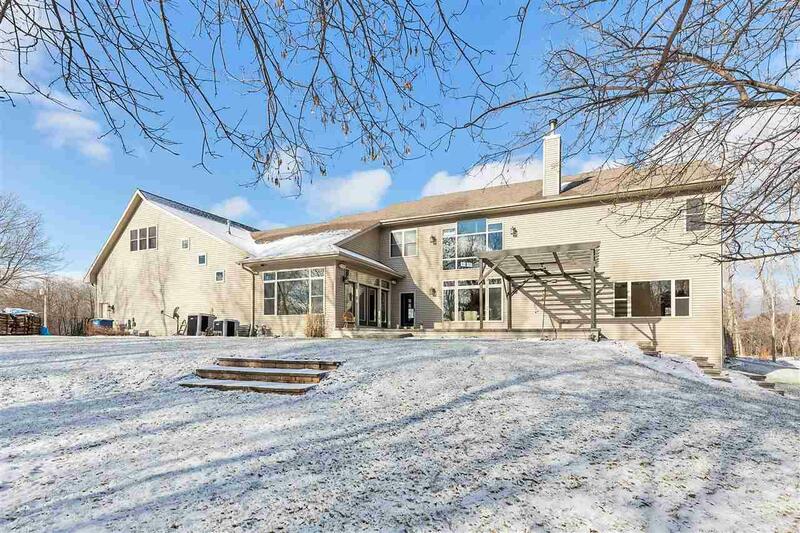 Stunning & sprawling hm on over 5 acres! 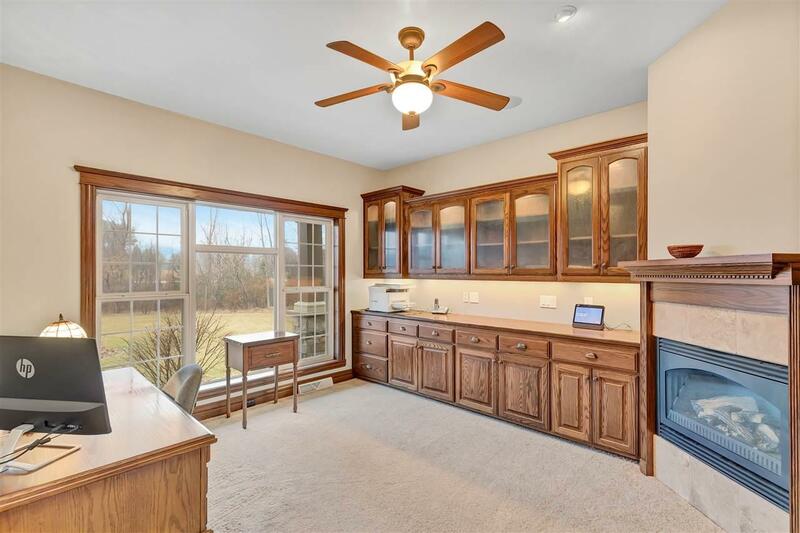 Features office, formal dining & Chefs kitchen w/ W-I pantry, center island, 2 dishwashers, quartz countertop & more! Great rm w/ soaring ceilings & flr to ceiling FP. Sunrm w/ patio drs to enormous patio. 1st flr mstr suite & bathrm w/ granite, jetted tub, in flr heat, double vanity & W-I tiled shower w/ multiple shower heads. Addl bdrm suite w/ W-I closet & private bath. Dont forget about the bonus rm, mud/laundry rm w/ lockers & loft. Scenic & picturesque lot. 4-car garage w/ basement access. So much more to see in this Energy Star hm!